There is some general information about Ozaeros here. 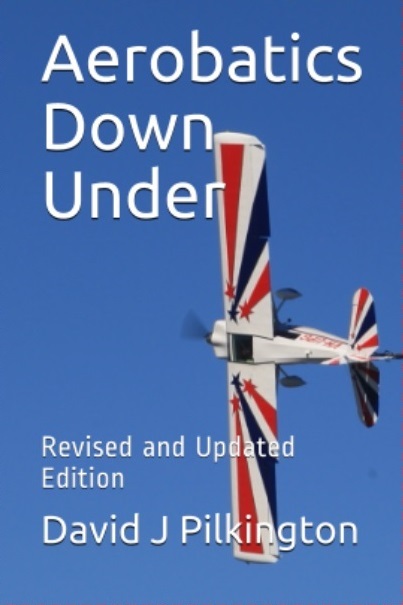 David’s new book, Aerobatics Down Under, is now available! Everything about flying aerobatics in the Super Decathlon including how to win aerobatic competitions and information for aerobatic instructors. Purchase the paperback version at Amazon USA, Europe etc and from Skylines at Moorabbin Airport – they are happy to post anywhere in Australia. Purchase the Kindle version at Amazon Australia, Amazon USA etc. Much of the training information has been for the Super Decathlon with a bit of information on the Pitts S-2A but now, with the joint acquisition of VH-DAJ, there is also information about the Pitts S-2C. Sign up to the Ozaeros Newsletter at the Subscriptions Page. You’ll also want to sign up to the Ozaeros Facebook Page – perhaps even the little used Ozaeros Mailing list. The Ozaeros Facebook Group is pretty much defunct. There is provision for people to register at this website and this will provide access to make comments on a number of the pages. Contact David if you want to register. 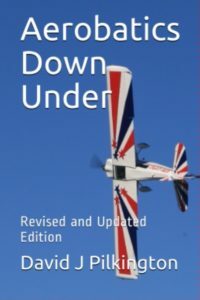 David’s articles, discussion papers and rantings are all online at http://aerobaticsaustralia.net/ with the historical blog at http://davidjpilkington.blogspot.com.au/. UPG is currently available only directly from Ozaeros and booked online at https://www.goboko.com/ORSignon.aspx – contact David for access at Contact.htm. Pilots will need to sign the hire agreement prior to access to the aircraft.